Every company needs to keep efficiency levels as high as possible. In fact, you need to do what you can to maximize your efficiency levels, and this is particularly true for mobile businesses. Companies that have employees on the road or run their business from their vehicle on a daily basis must consider how to ensure that the journey to each destination or job is as rapid as possible and cut wait times in half. Don’t forget, this also means that you will be able to see more clients through the day, deliver to more customers, cutting costs and increasing general profits. It sounds great, but how do you do this? Think about your van or business vehicle like an office. Imagine for a moment, an office with no desks, no filing cabinets, and no shelves. There’s nowhere to store or keep anything. Instead, everything is on the floor or scattered around the place. You can see how this would be a problem and the same is true for your business vehicle. You’ll spend a lot of time rummaging in the back of the truck looking for what you need and less time with your clients. To avoid this, look into van conversions. With van conversions, you can easily make sure that you have a clearly, well thought out space with a place for everything and everything in its space. That way, when you need something, you can simply reach in, find the neatly stacked shelf and select the piece of equipment or device. 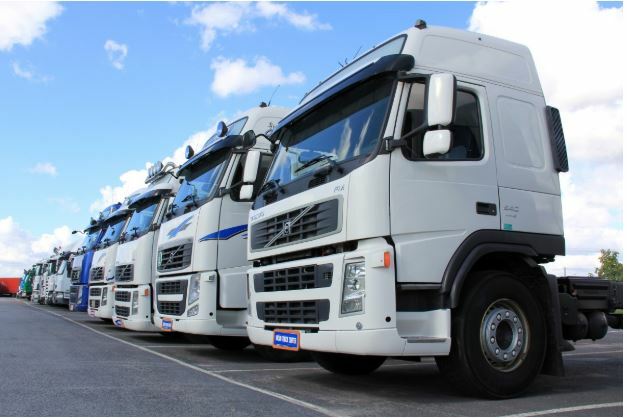 You might be running a business large enough to have a whole fleet of vehicles. Cool, but that does mean that you could be losing a lot in costs if you’re not selecting an efficient option. In other words, it’s time to start thinking about hybrids. Particularly, if you have an entire team of staff driving around and charging your business with the fuel costs. Its true hybrids are expensive, but if you think about the long-term for your business, then it’s also the best option. With a hybrid, you’ll use a fraction of the fuel that you would for a typical car so you’ll be saving overall. Even if you do have to start with a sizeable investment. Or, if you do have a large group of employees on the roads, then you need to think about tracking. Using GPS, you will be able to find out where they are, where they are going and how long it will take for them to get there. Not only can you discover whether they are taking the fastest route or taking too many stops, but you will also be able to pass this information onto your customers. This will make them very happy indeed. Last but not least, a car is only ever as good as the driver. This means that you do need to make sure that you have the right people behind the wheel for your business. This is just a matter of fine-tuning your hiring process and getting the best employees on the job market.